A new continuous lamp called the Magic Tube Light has been launched, designed for photography and videography. 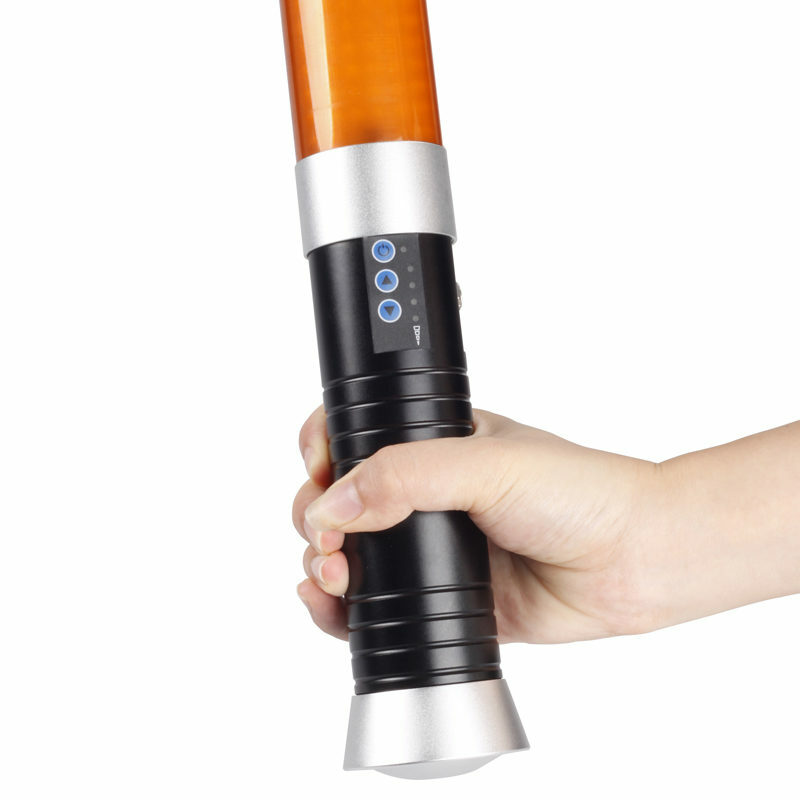 A new continuous lamp called the Magic Tube Light has been announced by a Chinese manufacturer. The MTL-900 II is the second generation of Travor’s LED light stick, which is ostensibly a clone of the Westcott Ice Light but claims to have “many new functions” and to be “more practical” than the American product. As a portable battery-powered wand, you can use the Magic Tube Light as a one-dimensional soft key light, or move it around during an exposure to paint with light. Travor says it is “created for multiple uses including photography and videography”. 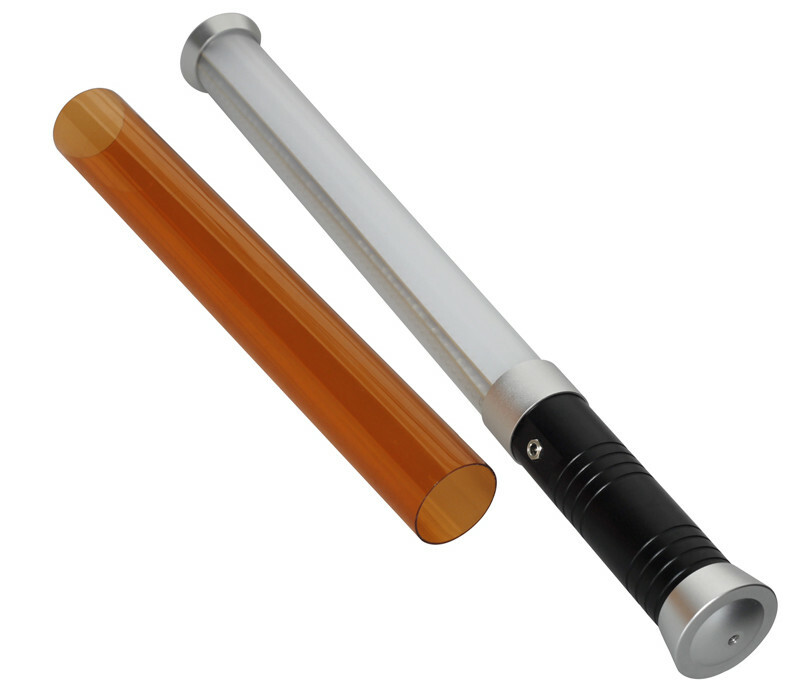 The Magic Tube Light puts out 1600lm (0.5m) of daylight-balanced 5600K light, but comes with an orange filter cover that converts it into a 3200K tungsten-balanced light source. 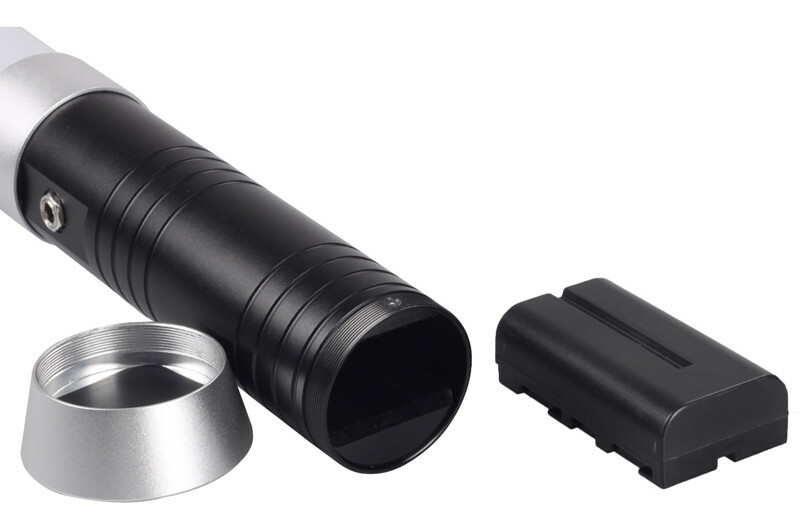 The tube can be hand-held or mounted on a tripod or stand, with power and dimming controls on the handle. There’s also an SOS flashing mode, should you get into an emergency during a location photo-shoot. Remove the handle to reveal a Sony NP-F550-style lithium ion battery, which you can swap out and replace as you please (unlike the Ice Light, whose battery is non-removable). You can also run the device from the mains via a DC power supply. If you don’t have an assistant during your shoot, the included IR remote will let you adjust the brightness of your Magic Tube Light from a (short) distance without leaving the camera position. Retail pricing and availability have not yet been announced, so it’s not yet clear whether the Magic Tube Light will generate some genuinely worthwhile competition to Jerry Ghionis’s Ice Light, or is just a “knock-off”. For more information, visit Travor’s Alibaba page or the company web site.